Medical authorities recommend that adults consume no more than 2,300 mg of sodium per day– about 1,000 mg less than the average American actually ingests– lest one suffer high blood pressure, stroke, osteoporosis, and/or exercise-induced asthma. Here are a few things with less salt than this sodium-sunk beef blowout: 244 Saltine crackers, 40 bags of Funyuns, 175 cups of Newman’s Butter popcorn, and 28 orders of McDonald’s large French fries. 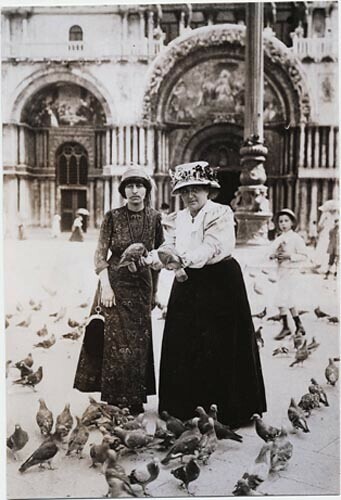 As we aspire to life above the salt, we might recall that it was on this date in 1910 that Alice B. Toklas moved in with– and became the life-long house mate of– Gertrude Stein. Together, they turned their Parisian home at 22 rue de Fleurus into an artistic and literary salon, where they entertained Picasso, Matisse, Hemingway, and Fitzgerald, among many others.